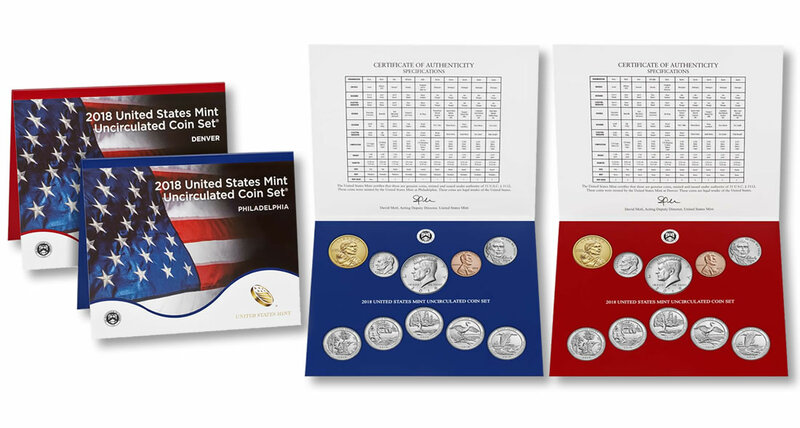 Launching today will be one of the most popular annual numismatic products of the year — the U.S. Mint’s 2018 Uncirculated Coin Set. U.S. Mint images of 2018 Uncirculated Coin Sets with its 20 uncirculated coins that are split into two folders. The folder accented in reds hold 10 coins from the Denver Mint and the folder accented in blue holds 10 coins from the Philadelphia Mint. Most will commonly refer to this item as the 2018 Mint Set. It includes collector-grade uncirculated quality versions of the circulating coinage of the nation. 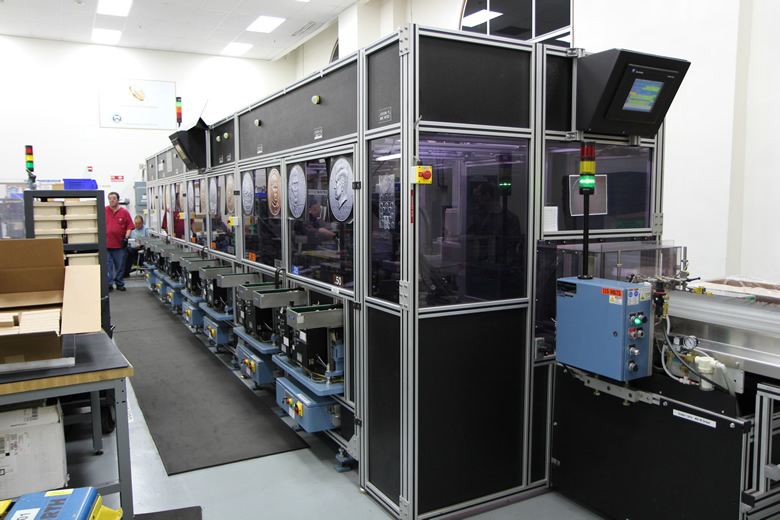 This includes ten coins struck at the U.S. Mint’s facility in Philadelphia and ten coins produced at its facility in Denver. Coins from each location are sealed in blisters on an individual folder with a blue-theme for those from Philadelphia and red for those from Denver. The five quarters are issued as part of the U.S. Mint’s America the Beautiful Quarters® Program. As such, these designs will not be used beyond 2018. In addition, the Native American $1 Coin also features a one-year-only design. Each is featured with an uncirculated finish described by the Mint as being produced on "special presses that use greater force than those used to produce circulating coins." The process produces coins with sharper, more intricately detailed designs. Pricing for each set is $21.95, representing a one dollar increase from last year’s issue. The 2018 Uncirculated Coin Set may be ordered directly from the U.S. Mint via this link. Orders are also accepted by calling 1-800-USA-MINT (872-6468). There are no household, product or mintage limits in place. Expect some 130,000 sets to sell within the next few days. Final sales should reach from around 295,000 to 345,000 sets, based on recent trends. Last year’s set remains available with nearly 280,000 sold from its release May 17, 2017 through to May 6, 2018. I though this set used to have the uncirculated silver eagle? An I wrong? Time to dig through the safe and find out I guess lol. No the annual mint sets include only the circulating version of the coins. No silver included. And the Eagle has never been a circulating coin.